There are a number of reasons that drivers are drawn to hybrids. They’re fuel efficient, good for the environment, and really, they just look cool. 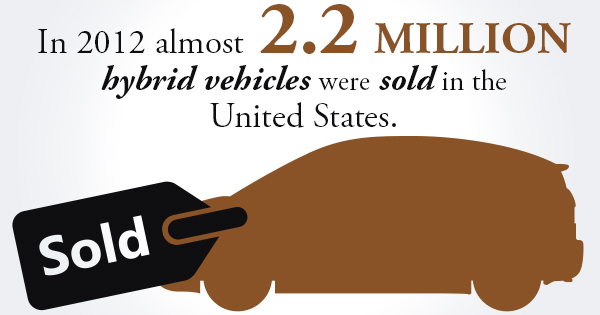 Since hybrids came on the market over a decade ago, more and more drivers are choosing hybrids — in 2012 almost 2.2 million hybrids were sold in the United States alone. There is, however, one caveat here: the near inevitability of needing to replace the hybrid battery. This is probably the single biggest anxiety that hybrid owners have, but it doesn’t have to be. Here are a few things you should absolutely not do when faced with hybrid battery replacement. The first thing that many drivers do when they’re faced with the prospect of having to replace batteries in hybrid cars is get anxious, but there’s really no reason to. Yes, batteries in hybrid cars fail, just as any other part of a car is going to. Most of the anxiety comes from the expense (which is about $3,000 to $4,000 on average), but if a driver owns a hybrid for a long time, the cost is recouped several times. Since hybrids get unrivaled fuel economy, all that money spent on a new battery was actually saved to being with. 2. Don’t think replacement is the only option. Another common reaction to the need for hybrid battery replacement is the thought that replacement is the only solution to a malfunctioning battery. It isn’t. There are a few different things that can be tried before having to buy a new battery outright, like having the battery reconditioned or getting the battery remanufactured. Both of these are methods of hybrid battery repair, which could be a better alternative than having to replace the battery. 3. Don’t think you have to buy from the dealership. Many hybrid owners think that they are limited to getting a new battery from the dealership, but this is also not the case. There are other hybrid battery providers out there, like third party aftermarket providers which aren’t associated with a dealership. If you do decide to go this route keep in mind that not all hybrid batteries are the same for all makes and models. Batteries in hybrid cars typically don’t last the lifetime of the vehicle, and studies show that they need replacement between six and 10 years after the original purchase of the car. If you’re faced with hybrid battery replacement, remember to keep calm, that replacement isn’t your only option, and you’re not doomed to pay steep dealership costs.